Step 1: Connect your RAW External Hard Drive to the computer through USB port. Download and Install the demo version of the software to Windows computer and run the Software. 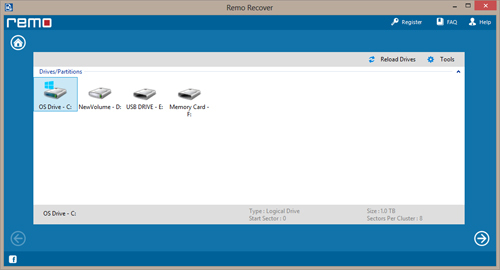 From the main screen, select “Recover Drives” option and then, from the next screen select “Formatted / Reformatted Recovery” option to retrieve files from RAW external hard drive. Step 2: Now, the software scans and displays a list of drives including RAW External Hard Drive, choose the particular drive that represents your External Hard Drive (RAW drive) from which you need to recover data and click on “Next” button. 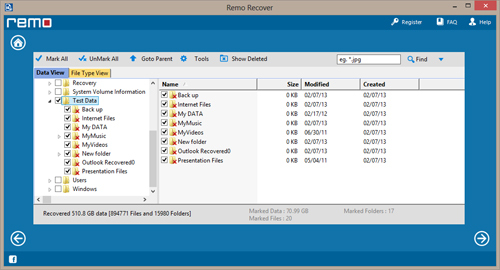 Step 3: After scan process, list of recovered files will be displayed in "Data View" and "File Type View". 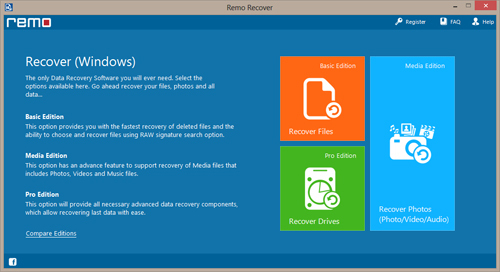 Then save recovered files using "Save" option on computer.